This will allow small and medium businesses to generate higher returns by combining their presence on Egypt Yellow Pages through Google AdWords. Today, Google and Egypt Yellow Pages Ltd. officially announced a strategic partnership to boost small businesses. Egypt Yellow Pages Ltd. is now a Premier SMB Partner of Google AdWords. This partnership will allow small and medium businesses to generate higher returns from their advertising by combining their presence on Egypt Yellow Pages with advertising through Google AdWords. “We are very excited about this partnership, said Wael Fakharany, Regional Manager, Google Egypt and North Africa. This allows us to reach and serve small businesses like never before.” As a Google AdWords Premier SMB Partner this means that Yellow Page customers who are small and medium-sized businesses will receive the professional and complete account management for their AdWords account. The account management will cover every step from setup and activation to campaign monitoring and revenue optimization. As a Premier SMB Partner, Egypt Yellow Pages Ltd‘s sales force received specific training on AdWords Best Practices for creating and managing AdWords accounts and is equipped to help local businesses efficiently tap into the power and reach of the Google AdWords online advertising platform. “Google’s revenues in Egypt have grown exponentially the past four years alone, and we are proud to say that we have been chosen to drive the same aggressive growth, for us and for Google, among SMBs.” says Marc Lambert, Regional Managing Director for Egypt Yellow Pages Ltd. 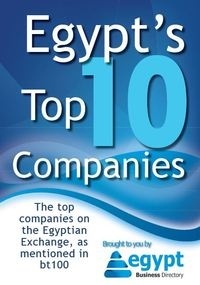 This agreement is designed to build on Egypt Yellow Pages Ltd existing relationships with advertisers, particularly small and medium-sized businesses, and encourage them to use online advertising as a cost-effective way to find and target new customers. Google AdWords system focuses on user input to determine ad relevance which provides long-term benefits for both users and advertisers. Advertisers determine what keywords are related to their business and their ads will appear when a user is entering those words. AdWords offers great flexibility for every campaign by offering different payment terms (pay per click or per impression), geographical targeting and the ability to pause and start a campaign whenever necessary. Thanks to the Google Analytics, another Google service, that combined with Adwords offers the advertiser data that provides both power and flexibility to understand the specific and unique ways customers interact with your site. Google has more than one million advertisers worldwide. Adwords is available in 190 countries in 42 languages internationally.